Less than an hour away from Pune, Megh Malhar is an agro tourism resort, located against the picturesque backdrop of Kolvan village in Mulshi. 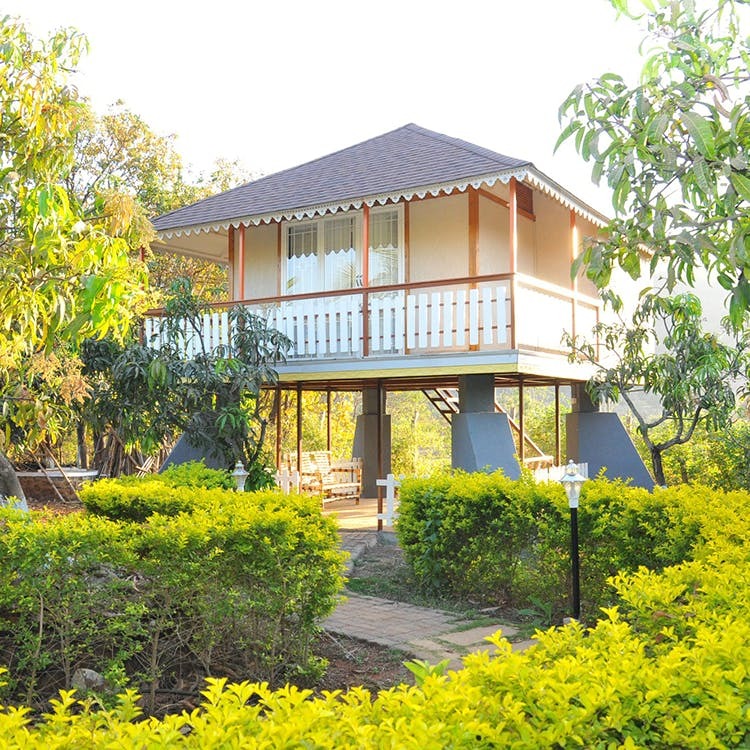 Megh Malhar with its gorgeous cottage stay, farmland and breathtaking views, is the perfect digital detox you have been looking for. Spread across 22 acres of farm, the resort has rooms that provide both mountain and river views. But our favourite is their stunning mountain-view cottage, that has been built like a quaint tree-house amidst a mango orchard. Ideal for a romantic staycation, the room is well-appointed with a comfortable king-size bed, air conditioner and a private sit-out area. Besides, we think it's pretty on easy on the pockets too. For INR 3,500 per night for two people, the cottage sounds like a great option for all those broke but awesome couples. Isn't it? Another impressive factor about Megh Malhar is that its a wonderful resort for family vacations too. Their farmhouse with three spacious bedrooms, kitchen, private lawn, terrace and a gallery, is ideal for groups of about six to eight people. There is a swimming pool and an indoor games room too to keep you entertained throughout the day. If a long vacation isn't possible, take a day off and opt for Megh Malhar's day-tour package for just INR 780 a night.